Chris had an involvement with livestock since his education at Urrbrae Agricultural High School, and then as a stock agent in South Eastern Australia. During this time he also developed the skills of auctioneering, which has since been sought after at charity events in South Australia and by the alpaca fraternity in Australia, New Zealand and the United States. Chris developed retail experience during his management of an Adelaide based business, providing service to clients around Australia in the field of outdoor leisure and liquid fuels. Chris diverted his professional attention to alpacas in 1992, excited by the opportunities and business potential of the industry. With an interest in vertical integration, the desire to expand his alpaca expertise, and participate in the development of the Australian Alpaca Industry, Chris has a string of notable achievements. 1993 Chris formed a partnership with knitwear manufacturer Frank Spinelli, and established the ‘Alpaca Classica' clothing label. The ‘Alpaca Classica' range was selected to represent Australia on the catwalk at the International Alpaca Festival in Peru in 1997 and 2000. 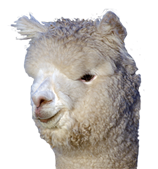 1995-1997 Member of Australian National Committee of the Australian Alpaca Association. 1997 At invitation of Peruvian Government, sheared alpacas and vicunas in Peru. 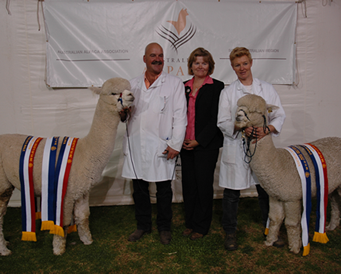 2001-2004 Member of Australian Wool Development Board, representing the alpaca industry. Amongst his portfolio of skills, Chris Williams is also an experienced alpaca shearer. He developed the technique years ago when the availability of alpaca shearers was scarce, and has shorn alpacas around Australia, in New Zealand and England. He was also invited by the Peruvian Government to demonstrate and teach the Australian method of alpaca shearing in Peru.